Replacing the National Theatre's Cottesloe Theatre, which closed in 2013, the Dorfman Theatre offers a greater capacity, more comfortable seats, better sightlines and enlarged foyer spaces. The National Theatre's smallest space, it was renamed after philanthropist Lloyd Dorfman, founder and chairman of Travelex, who provided a large donation towards the National's 80 million pound future development programme. Improvements including additional and more comfortable seating mean that an extra 27,000 people each year can gain access to what are often sold-out performances. Further refurbishments include balconies with improved sightlines, equipping the auditorium for daytime education use, much needed new foyer space, improved acoustics, lighting and signage and a lift, making the Dorfman fully accessible for the first time. What are the best dining options near National Theatre: Dorfman Theatre London? National Theatre: Dorfman Theatre gyms, sporting activities, health & beauty and fitness. The best pubs near London National Theatre: Dorfman Theatre. 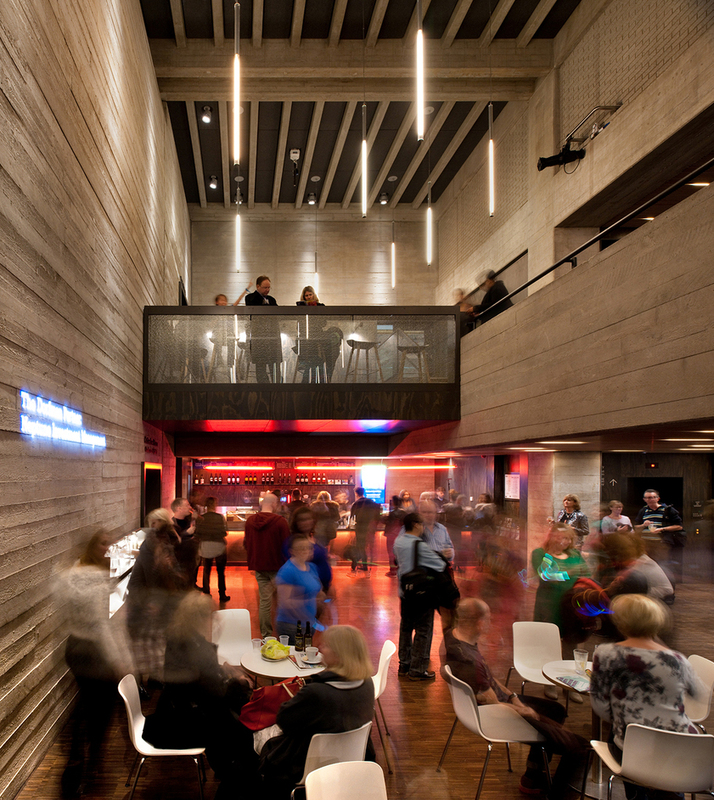 National Theatre: Dorfman Theatre clubs, bars, cabaret nights, casinos and interesting nightlife. Where to have your meeting, conference, exhibition, private dining or training course near National Theatre: Dorfman Theatre. From cheap budget accommodation to luxury 5 star hotels see our special offers for National Theatre: Dorfman Theatre hotels, including Sea Containers London from 0% off.